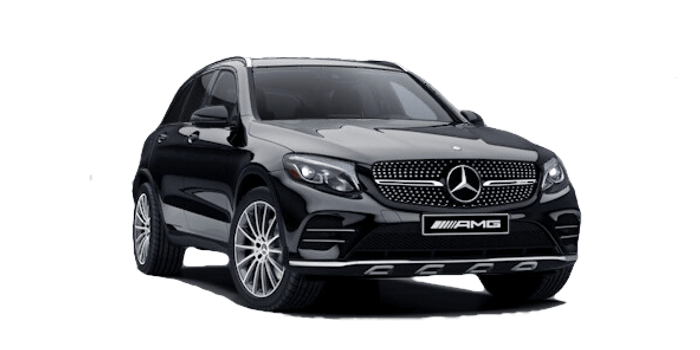 It isn’t up for debate that both the 2018 Mercedes-Benz GLC 43 and 2017 Porsche Macan are two of the most refined luxury crossovers available to Burlington drivers. Turbo power and premium materials move both models to be a cut above the rest, but when put side-by-side, there’s even more than meets the eye that makes one climb higher. The Mercedes-Benz GLC 43 takes handling and agility to the next level. 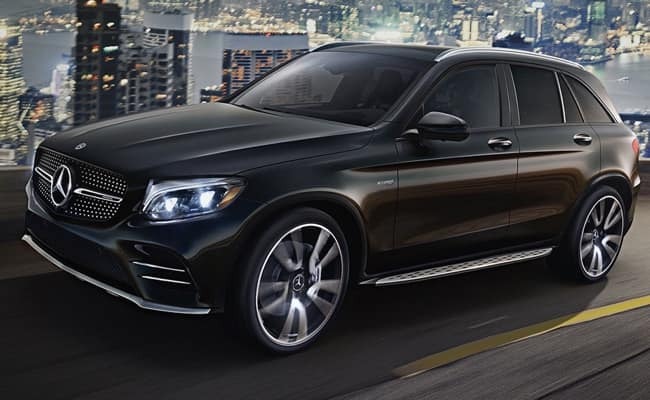 Take a look at the deluxe experience the GLC 43 will give you, then meet us at Mercedes-Benz Burlington to treat yourself to a one-of-a-kind test drive. As soon as you get behind the wheel of the new Mercedes-Benz GLC 43, the secret’s out. With over 100 more horses and handling like a dream, this SUV is more riveting and refined than the Porsche Macan. Engine: A 3.0L V6 turbocharged engine puts out 362-hp and 384 lb-ft of torque, moving you from 0-100km/h in an incredible 4.9 seconds. Put this next to the Porsche Macan’s powerhouse that maxes out at 252-hp with a timed 6.7 seconds to go from 0-100km/h. Elegance is evident inside of the Mercedes-Benz GLC 43 and the Porsche Macan. Desirable premium leather seating with power-adjustments and detailed stitching come with both, but the Mercedes-Benz GLC 43 makes amenities available to you that will transform commutes into vacations. 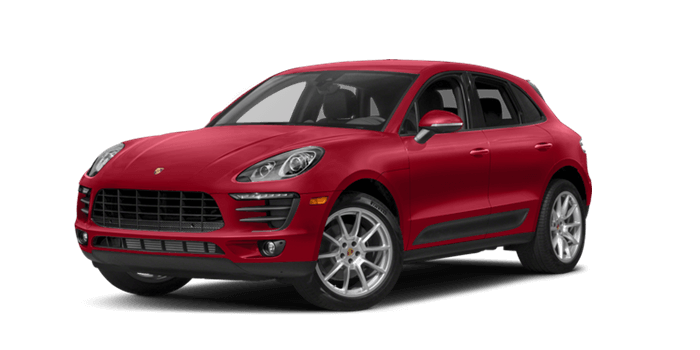 Take the air purification system with aromatherapy or touchpad controller to make adjustments to systems while keeping your attention on the road–neither of which are offered by the Porsche Macan. 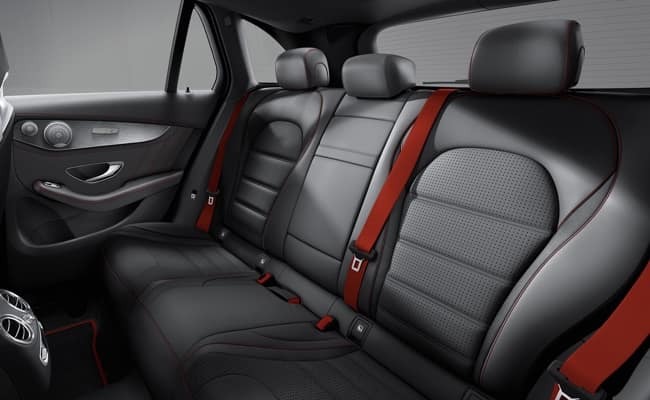 Add on the bonus room inside of the GLC 43 with 550 L behind the rear seat or up to 1,600 L, more than the Macan’s 500 L and 1,500 L.
Allow us to show you all that the Mercedes-Benz GLC 43 has to offer. Schedule a test drive with a sales specialist by calling our team at 877-557-3007. We want to help you get your dream vehicle and we offer a wide inventory of the newest luxury vehicles from Mercedes-Benz, plus helpful financial services to streamline the shopping process. Our showroom is located at 441 North Service Rd in Burlington, ON. Don’t hesitate to leave us a message online with any questions or comments.